Almost 6 years ago (in May 2012) I stood on this same bridge at Coronado Springs resort, touching this beautiful gift that had been given to me (along with a gorgeous luggage tag for traveling adventures), crying because I knew I was saying goodbye to the life that I knew and loved. At the time I had no idea that I was extremely sick with Advanced Late Stage Lyme, Cancer and a few additional health issues, that the journey of healing would take so many years, or the way that healing and restoration would encompass every single area of my life. 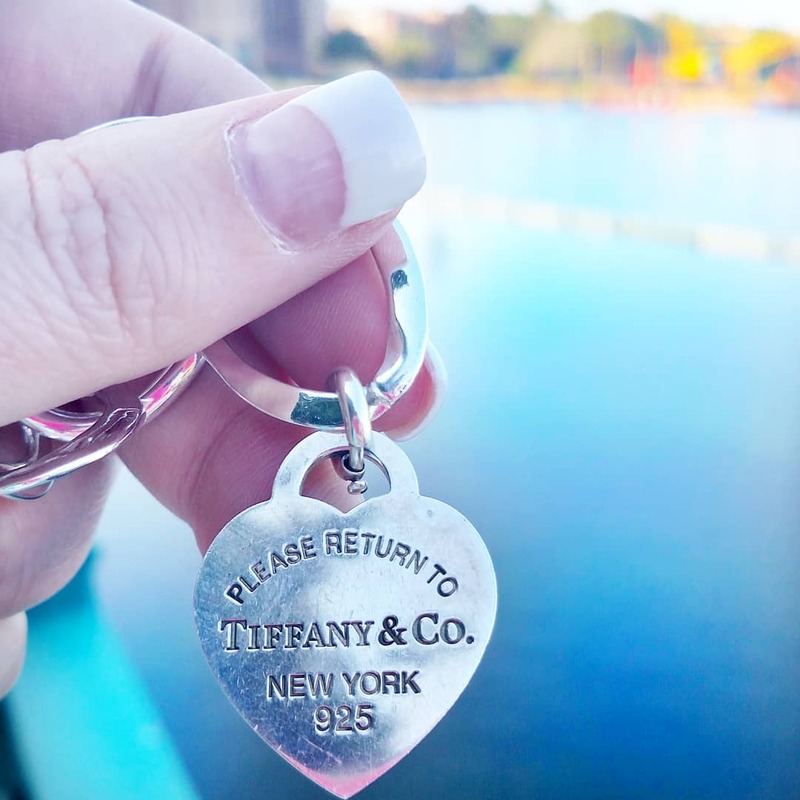 I have kept that Tiffany necklace and worn it almost everyday of these last 6 years (either in its original form of a necklace or bracelet). It's been a beautiful reminder of love, inspiration to continue to fight to return to the classroom, and to treasure the moments that happen. Returning back and standing in the same spot I cried again on Wednesday...a bit from grief over so much time lost in this health journey, but more because of being so grateful for where things are at now. Is there still more treatment? Yes. Is there still some final things I am healing from? Yes. Is the journey completely over? No. But returning back to that spot has been a sweet full circle moment. I remember the girl standing there, fearful of what was to come, to now being humbly grateful for where I have been brought. FCS Class of 2012, thank you. I love and miss y'all. I remember the night these gifts were given and one of you sweetly hugging me whispering, "isn't it wonderful to know that no matter where we all go and where life will take us, that God is there Ms.V?" Oh yes dear one. Oh yes.